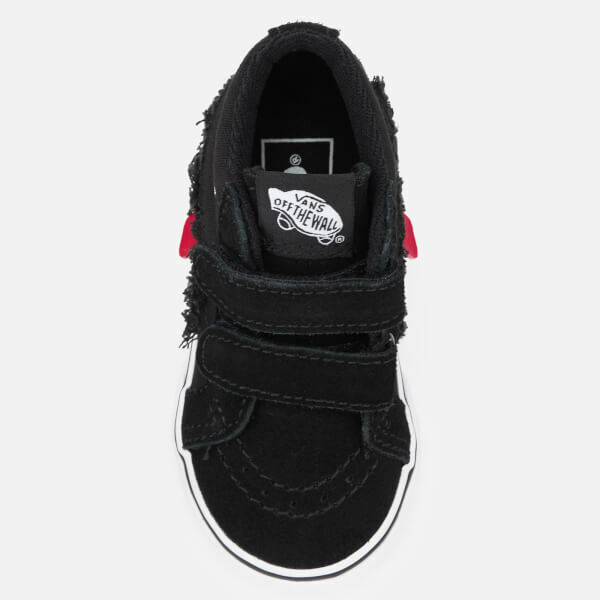 Toddlers’ ‘Sk8-Mid’ trainers from Vans. 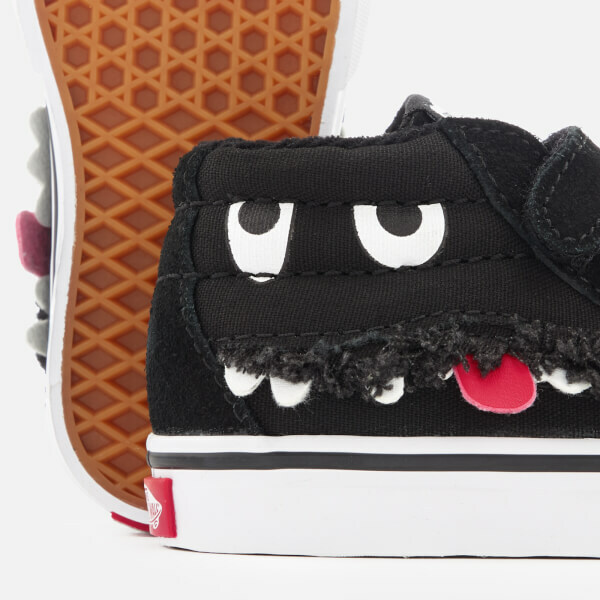 The black sneakers are presented in a mix of suede and canvas and boast fun monster face detail to each side. Fastening with a pair of Velcro straps, the mid-tops are set upon the brand’s signature contrasting waffle sole for maximum stability. Branding to the tongue and heel completes the design.